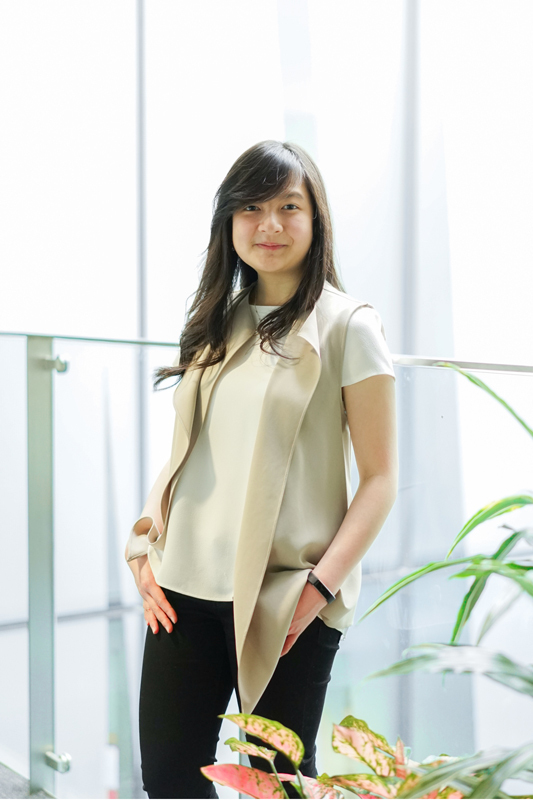 A social entrepreneur in the making, Bachelor of Commerce graduate Melissa Tenggara’s earliest memories have helped shape her ideals and goals. Sitting at a large wooden table between her grandmother and mother, hearing them talk about their day while eating a simple meal… This is one of Melissa Tenggara’s earliest and most cherished memories. Although too young to make much sense of the conversation, Melissa remembers hearing the words ‘rice’ and ‘sugar’. Looking back now, she realises they were talking about some of the goods transported by her grandmother’s shipping company. As she talks fondly about her childhood in Surabaya, Indonesia, it’s clear that the strong women in Melissa’s family played a pivotal role in shaping her ambitions and motivations to leave her home and move to Melbourne, with the aim of one day starting her own business. Both your grandmother and mother are business women, what influence has this had on you? My grandmother acquired the shipping company, PT Sinar Maluku Lines, back in 1969 at a time when it was not very common for women to continue working after having children. But she resisted the pressure to stay at home, and went on to establish a successful business. I can clearly remember going to her office every day for lunch from when I was about three years old. Looking back, it was her way of ‘introducing’ me to the business. Today, she’s 75 years old and still goes to work every morning. Seeing how strong and decisive my grandmother is has really given me the confidence to pursue a career in business and, ultimately, set-up my own social enterprise. You moved to Melbourne to study when you were 18 - what is it like settling in a new city? 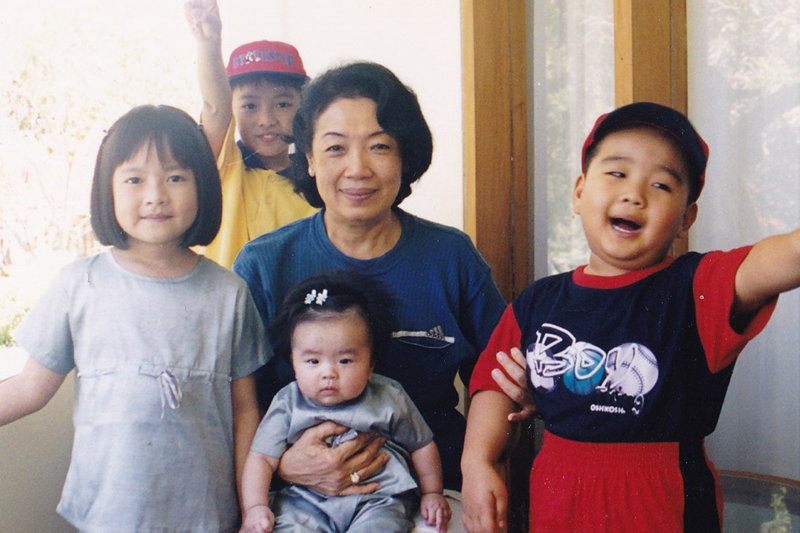 Being the first in the family to move and study overseas, I found it daunting initially. But I was encouraged by my grandmother to explore the world and to have an international education. Melbourne was a natural choice as it’s close to Indonesia, but far enough to be different. I love living in Melbourne – it’s such a vibrant and energetic city and there is always so much happening, I love the coffee culture! You’ll often find me at Hardware Societe, Sir Charles or Operator 25 on the weekend. What advice would you give to students considering studying in Australia? 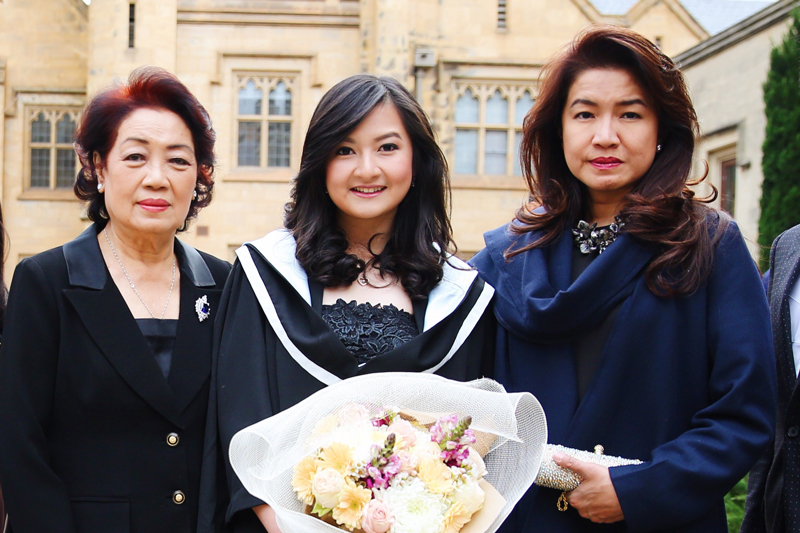 Within the first weeks of my Foundation Studies at Trinity College, I realised how different the school systems are between Indonesia and Australia – in fact, until then I had never written an essay. I knew I needed help to bring my writing skills up-to-speed and was grateful that Trinity provided me with a lot of academic and student support. I quickly learnt an important lesson: Speak up and ask for help as soon as you need it. What was the highlight of your experience in the Bachelor of Commerce? I wanted to be involved in as many things as possible in the Bachelor of Commerce. One of my highlights was an overseas intensive accounting subject in the US, where we visited large corporations like Disney Studios, PwC, MasterCard and PepsiCo. This really opened my eyes to what I’d been taught in the BCom - the global issues of digital transformation and changing marketplaces, and how to manage the online customer experience. What I took away from this experience was the importance of asking hard questions and being able to think creatively, even as an accountant! You plan to start your own social enterprise – what and when? A few years ago, I saw a video on Thankyou water that made me think hard about the sort of business career I want to have, to give back to the community and not make work just about the bottom line. Since then I’ve completed an internship with fruit2work, and volunteered with for Dignity. Eventually I’d like to establish my own social enterprise, and I’m looking forward to studying the Master of Entrepreneurship at the University of Melbourne this year, which will give me the knowledge and skills to build on the ideas I have.